Our cellar is located in the middle of the nature park in the wine idyll directly at the Pinkatal Wine Road, between the villages Moschendorf and Gaas. It is surrounded by vineyards, woods and orchards. Our mountain cellar is a typical wine cellar of the South Burgenland region, the cellar of the Stöckl is still used today for wine production and wine storage. Directly behind the building there is also one of our Uhudler vineyards. The ground floor and the attic of the cellar floor are at the disposal of our guests only. 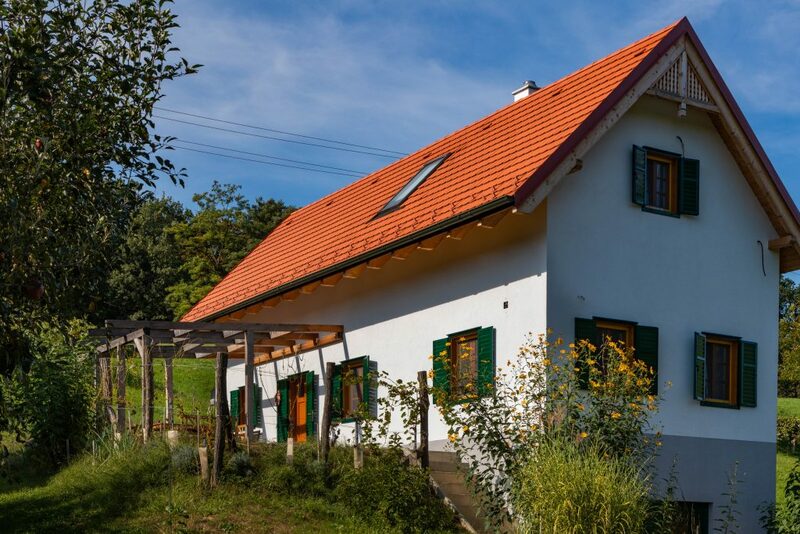 We have furnished the Kellerstöckl regionally typical with a lot of love for detail, so that our guests do not miss a thing during their holidays in southern Burgenland and they feel comfortable in the Kellerstöckl am Liendlberg! Details can be found under Equipment. The region around our Kellerstöckl offers numerous attractive excursion destinations which can be explored on foot, by bicycle or by car by our guests. We have put together more detailed information about the excursion destinations in the surrounding area, events and dates for you.